alaTest has collected and analyzed 356 reviews of Samsung Galaxy TabPro S (W700, W703, W708). The average rating for this product is 3.9/5, compared to an average rating of 4.3/5 for other products in the same category for all reviews. Comments about the battery and performance are on the whole positive. The usability and portability also get good views. There are mixed comments on the reliability and price, and many are critical about the GPS navigation and connectivity. We analyzed user and expert ratings, product age and more factors. 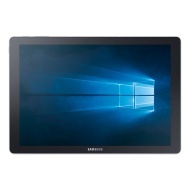 Compared to other products in the same category the Samsung Galaxy TabPro S (W700, W703, W708) is awarded an overall alaScore™ of 94/100 = Excellent quality. alaTest has collected and analyzed 3 user reviews of Samsung Galaxy TabPro S (W700, W703, W708) from Amazon.co.uk. The average user rating for this product is 3.0/5, compared to an average user rating of 4.3/5 for other products in the same category on Amazon.co.uk. alaTest has collected and analyzed 45 user reviews of Samsung Galaxy TabPro S (W700, W703, W708) from Amazon.com. The average user rating for this product is 3.6/5, compared to an average user rating of 4.1/5 for other products in the same category on Amazon.com. Opinions about the usability and design are generally positive. The performance and screen are also appreciated, whereas some have doubts about the apps and storage. The TabPro S is a great Windows tablet, but a poor Windows 2-in-1 PC. When it debuted in March 2016, the Samsung Galaxy TabPro S packed more value into a Windows tablet for $899, £899 or AU$1,499 than any other contender. Fast-forward to November 2016 and it looks just as good. Samsung wisely includes a keyboard cover in the box. Battery life is excellent, and the AMOLED display is better than the screens in much more expensive systems. The single configuration is stuck with a sluggish Core M processor, and the keyboard cover allows only two screen angles, neither of which may be right for you. Samsung builds a lot of value into the Galaxy TabPro S, including a keyboard cover and advanced display in a very slim Windows tablet. If technology were people, Samsung's Galaxy TabPro S would clearly be a super model: It's willowy thin, extremely lightweight, and has a jaw-dropping OLED screen. Samsung's challenge: create a high-end Windows 10 2-in-1 to compete with the Surface Pro 4. The Galaxy TabPro S represents its first and best shot. Does this premium Win 10 convertible deliver? The Samsung Galaxy TabPro S is a premium Windows 10 two-in-one. Compared against the competition from Microsoft and others, its compromises make it better suited as a mobile or travel device. Our Samsung Galaxy TabPro S review takes a look at a true 2-in-1 Windows 10 tablet with a large screen, removable keyboard, and more. Fantastic screen, performs well as laptop or tablet. Decent battery life. Only one USB-C port. Smaller left shift key on the keyboard to duplicate the back slash/straight slash key unnecessary.